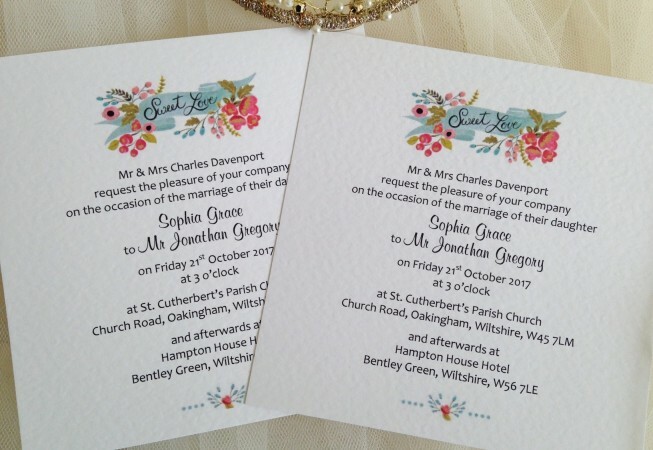 Sweet Love Square Flat Wedding Invitations. 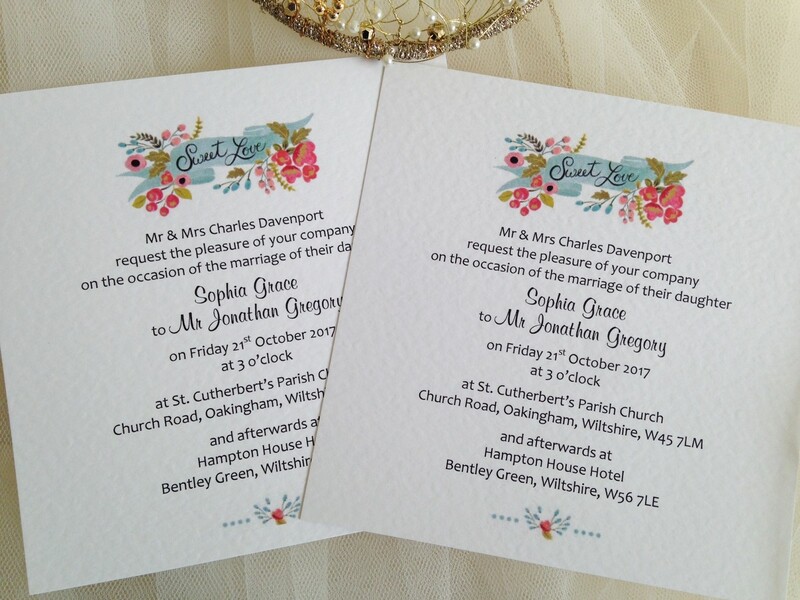 A beautiful personalised wedding invitation supplied on a thick heavy weight (270gsm) flat square hammered card and is available in white or ivory. 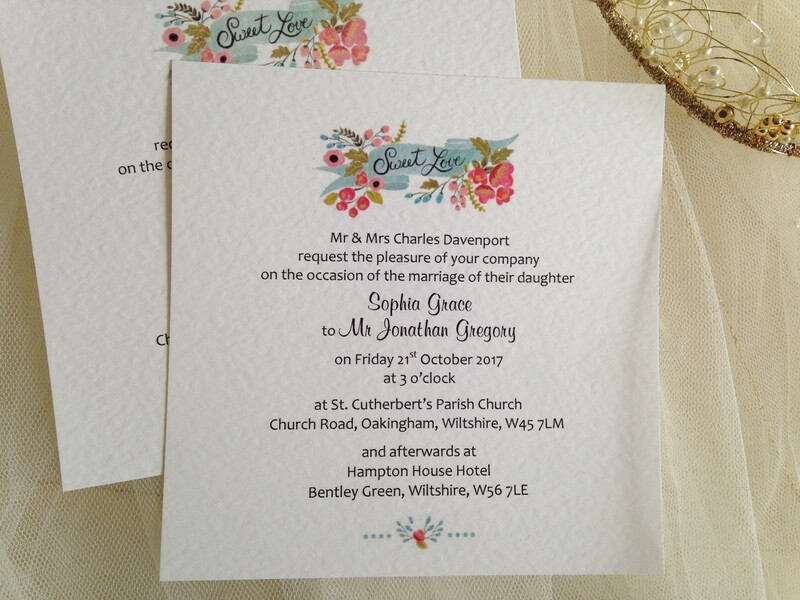 Our Sweet Love Wedding Invitations are on trend for informal shabby chic country themed weddings, including village fete or ‘tea party’ wedding themes which continue to be hugely popular. 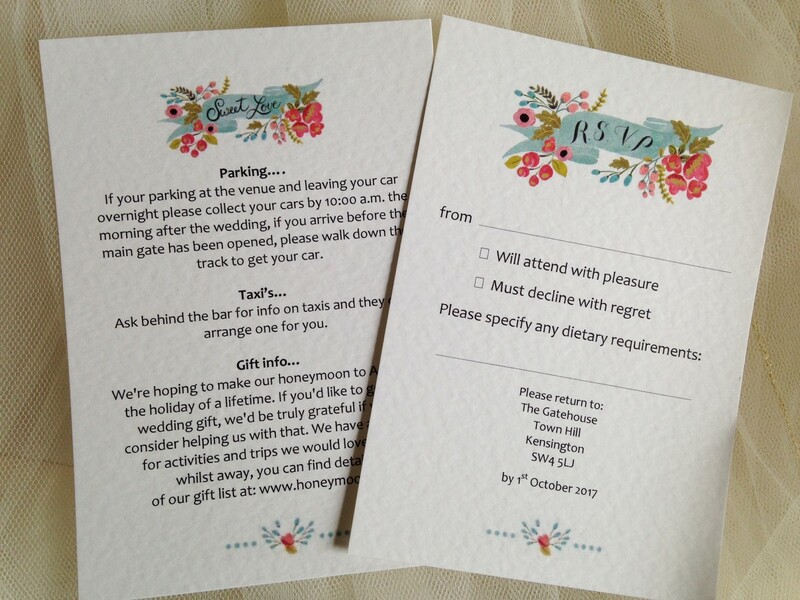 We can also supply matching RSVP cards, Information Cards, Order of Service, Menus and Place Cards.